project_headline The future is Fab (Lab)! Over the last decade Fab Lab Barcelona has helped people around the world to locally conceptualise, design, develop and fabricate, with a focus on truly world-changing open and accessible technologies. Based in the Institute for Advanced Architecture of Catalonia (IAAC), the centre combines innovation, participation, digital manufacturing, technology and creation. So, what exactly is a Fab Lab? 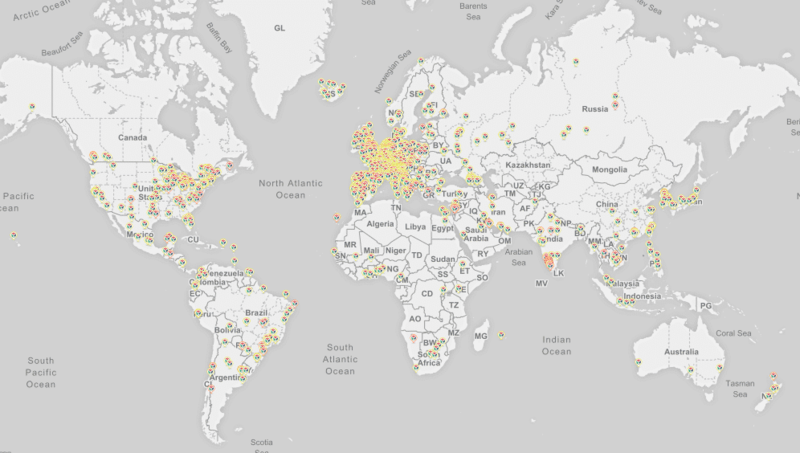 Fab Labs began as an outreach programme at MIT’s Centre for Bits and Atoms and has since become a global network. Ten years ago there were ten labs worldwide, and today there are 1,116 – and counting – from Bolivia to Ethopia. Their aim is to educate society about making almost anything we need. Using digital fabrication as the main focus, it promotes the idea of distributed manufacturing. Designs can be sent to the other side of the planet, and using CNC machines, laser cutters, 3D printers and other simple tools, users can create nearly any object, big or small. Director Tomás Diez helped to build Barcelona’s public network of Fab Labs, which is now managed by the government. He constantly breaks the rules in education, business, science, urbanism, farming, environmentalism, fashion, design, housing and society, but is most proud that after ten years he is now leading the Fab City Initiative, building it with a global team of pioneers and makers who want to change everything. Started in 2009 in collaboration with MIT’s Centre for Bits and Atoms, the Fab Academy was developed to teach hands-on skills in Fab Labs, and has more than 500 alumni worldwide; this year has 70 participant labs and 300 students. It is based on MIT’s popular rapid-prototyping course ‘How To Make (almost) Anything, as taught by Neil Gershenfeld, globally coordinated by Luciana Asinari. What would you like to learn to make? Interaction designer Guillem Camprodon‘s Smart Citizen is a manifesto about the role of technology in cities – from smart cities to smart citizens – launched in 2011. He provides an ecosystem for people to farm data (collect, store, process and share), and be an active part of the production of information in cities. The project has been crowdfunded twice, and funded by the EU’s Horizon 2020 programme. The word ‘smart’ doesn’t always have to prefix something stupid. Designed and built as an entry in the 2010 Solar Decathlon Europe, this is the first self-sufficient and open source digitally fabricated house in Barcelona. 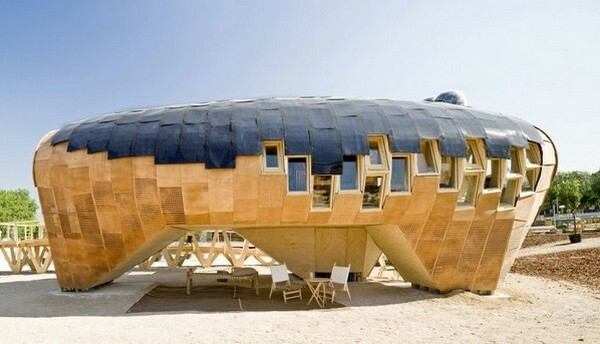 A huge team effort led by architect Vicente Guallart, Rodrigo Rubio and Daniel Ibañez, it uses laser cut materials – predominantly plywood – and has a photovoltaic skin to harness solar radiation. Built on three legs, the home also features smart energy and temperature-monitoring systems and a rainwater collection system. Plus, its design can be produced in any Fab Lab in the world. Led by designer Massimo Menichinelli, the official online social network of the international Fab Lab community connects projects, labs, people, events and machines. With more than 10.000 members worldwide, the exchange platform allows people who share principles, tools and philosophy around the future of technology and its role in society – helping expand the global scale of the way products are designed and distributed. Making Sense, a project funded by the European Union, and powered by the Smart Citizen Project, has just launched its third pilot in Barcelona. Mara Balestrini and Gui Seiz aim to enable citizens to use open source sensor and digital manufacturing technologies to collect data – so that citizens can address pressing environmental problems in air, water, soil and sound pollution. The Making Sense Toolkit will be tested in Amsterdam, Barcelona and Prishtina. Fast fashion is not cool. Fab Textiles is. It proves how the new tools available in Fab Labs can be applied to fashion – to make it more responsive, interactive and sustainable. Project leader Anastasia Pistofidou cultivates materials and wants to show how we can embed technologies in almost anything. Next up: Textile Academies. The Fab Market is a new online store, part of the Fablabs platform, where you can find a variety of locally made products designed by people from all over the world. Set up by lcelandic Ingi Freyr, designers, makers and users can distribute their products using highly circular economy principles. All products are open source and sold ready for use, assembly or fabrication, giving people the possibility to participate in the making process. The more you participate, the less you pay for the product. 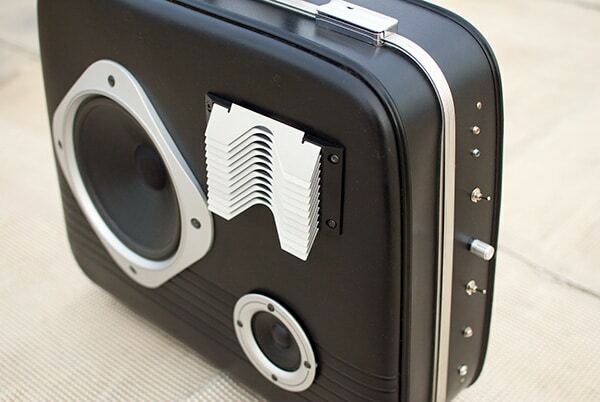 Who wouldn’t want a Bluetooth portable sound system built into vintage luggage? Fancy printing your own hive in 30 minutes? Jonathan Minchin, Tristan Copley Smith and Aaron Makaruk have come together to foster local beekeeping and monitoring using technology. Their Open Source Beehives are a global and truly open network of citizen scientists to discover the reason bee populations are declining throughout the world. Founded by Guillaume Teyssie and Loic Goueff, Aquapioneers is an open source project that looks at local production of food by using low cost and precise aquaponics and local materials. Through the power of digital manufacturing any standard 50-litre aquarium can be turned into a self-sustaining ecosystem; a small indoor oasis that can provide you with aromatic plants and spices throughout the year. 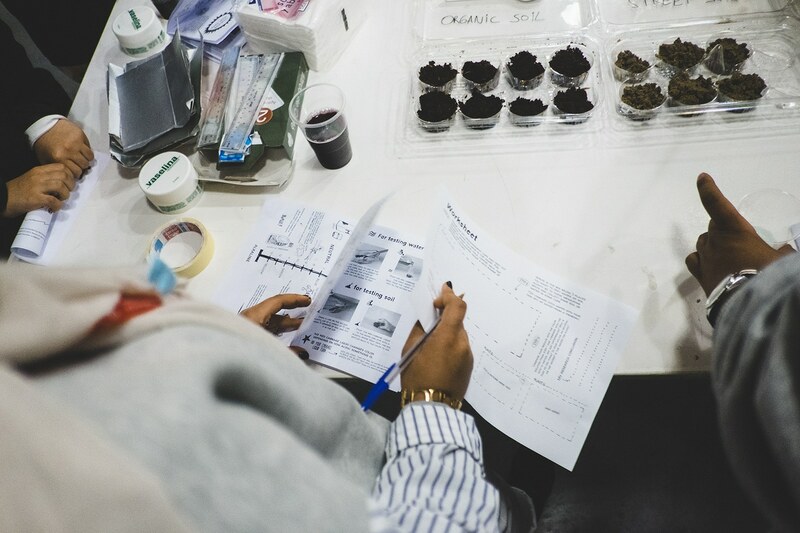 Plus, it aims to reduce the consumption of water and soil dramatically, allowing food to be produced back in cities. Located in Poblenou’s 22@ neighborhood, Leka is the first open source restaurant in Barcelona – and maybe the world. You can download the designs, the menu’s recipes, nutritional advice and even the staff outfits. The whole concept, design and local production process was a collaborative effort lead by Miguel Guerrero, and is the first example of a Fab City project on a local scale. Check out all the Leka elements here. Read what happened when our Editor Lisa Goldapple visited Green Fab Lab, Barcelona’s underground fabrication laboratory. Tags: 3D printing, Architecture, Bees, Big data, Catalonia, Circular economy, Community, Construction, Crowdsourcing, Data, Digital fabrication, Education, Internet of Things, Mapping, Students.